Welcome to CVGM, your home for video game, demo scene and computer related music. We stream 24 hours a day, 7 days a week, 365 days a year for your listening pleasure! This site is devoted to the men and women who devote their time creating some of the best music available in the world! You can immediately begin listening to the music by heading over to the Audio Streams page, and selecting a stream that's best for you. We have several different streams to choose from. Alternatively, you can click "Listen" in your browser and select one of the streams from the list to listen directly in your browser! Request songs to be played on the stream. Vote for songs you like/dislike the most. Create new artists and groups that don't yet exist. Upload songs not currently on the site. Make corrections to existing songs. Send messages to other members of the site. Post on our forums, comment on songs, and lot's more!. To familiarize yourself with the many features of the site, we have posted Getting Started With CVGM to help get you started! We hope you enjoy your stay on our site! If you have any questions or comments, you can post on our forums, ask in the OneLiner, or send a message to any moderator/admin or email us at demovibes [at] cvgm.net! To see some of the new albums/song sets uploaded to CVGM, see Recently Added Albums/Compilations. You can also see all the most recent Individual Song Uploads. CVGM will be at DemoSplash 2015 this year. Demosplash 2015 will be held 6-7 November 2015 at Carnegie Mellon University in Pittsburgh, PA, USA. 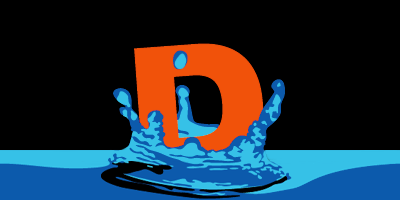 Demosplash is one of the largest demoparties in North America, catering both to newcomers to the demoscene as well as established artists. 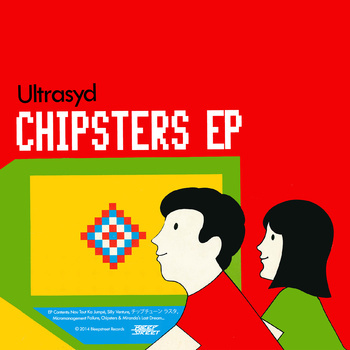 Discover the world of Ultrasyd on this 6-track EP packed with the most ultra-hip sound ever heard on the AtariST home-computer. It’s that good. We promise. As a member of Brainstorm, Ultrasyd has collected some credits over the last years as a demoscener with his high quality Atari and Amstrad CPC releases. On this first EP, Ultrasyd shows us his latest tricks and mad-skills funkatising the squarewave only YM2149 soundchip, it’s so fat that we had to ask a few times if this is a pure AtariST recording! The music is full of lovely and positive Demo-vibes, it’s the perfect EDM for the LOLKids and it features some of the coolest Atari Space-Reggae we have ever heard! Its been a while since we posted any news about whats been going on with the site, so I thought I would just give a bit of an update to everyone about where things are. We have completed the migration to the new VMWare server. This is a server that was purchased as an upgrade to the existing CVGM servers, and to give us the expandability we may need in the future as the site grows bigger. In the beginning, CVGM consisted of 2 servers, an ancient Xeon server with 2gb of ram to run the Python code, and an even more ancient AMD dual core server to handle the streams. When these boxes started to break down (they were leased from the datacenter we use) we ended up purchasing our own hardware, with the help of several donations to the site from our awesome listeners. As always, if you have any questions or concerns, feel free to jump on the oneliner and ask, or post a message in the forums. Thanks! See the official Facebook event page by clicking Here. The launch will be held at 3pm on December 9th, 2012. Tune in to the stream using the links on the Facebook page. Some of you may have noticed that CVGM has made some pretty big changes! Read up more on the changes in the code at This Forum Post. To protest the ongoing SOPA act in the US (Stop Online Piracy Act) we will be shutting down the site and it's streams for 24 hours, along with tens of thousands of other websites in the US who also do not want the bill passing. If the law passes, sites like CVGM and about 95% of the worlds web radio stations will disapear from the airwaves. From myself & the staff at CVGM, we would like to wish you and your family a very happy holiday! We will be up and running over the christmas period as usual, so if you get bored of eating too much turkey & beer, drop by and say hi! 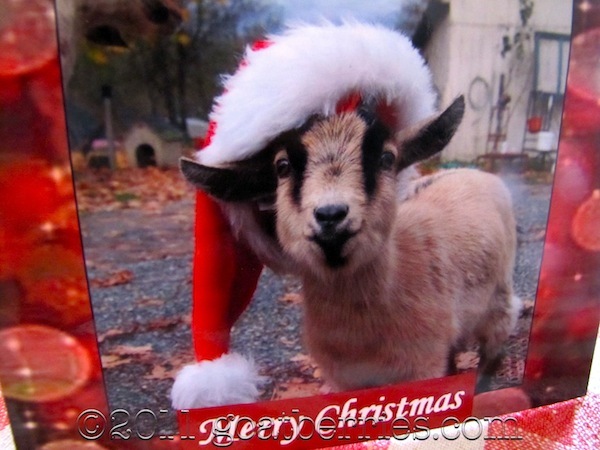 So, have a happy holiday from our goat family to yours! This weekend is Evoke - The main party of the year attended by Brainstorm members (moreso then the other parties of the year). Please join us in supporting our fellow goat friends in the competitions this weekend! As more information is released such as stream links, we will add it here. The only confirmed sources right now will be the live audio from SceneSat, hosted by Ziphoid (also of Brainstorm!). Good luck this weekend guys, and please have lots of beers for me!! We only have a short period of time for moving data between the 2 servers, so I apologize for the downtime that may occur ahead of time. I will post more in the forums as it becomes available. 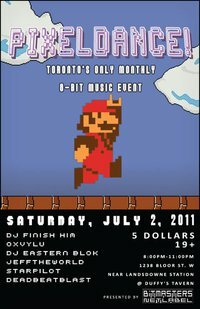 Duffy's Tavern and Bitmasters Netlabel are bringing you Toronto's very first and ONLY monthly 8-bit music event on Saturday July 2nd, 2011! This 19+ event will feature videogame-inspired tunes, crazy pixelated visuals provided by none other than CHIP RAMBO, and classic Nintendo games for all audience members to play to give you a big hit of nostalgia you won't soon forget. So, bring 5 bucks and come get your tunes on! 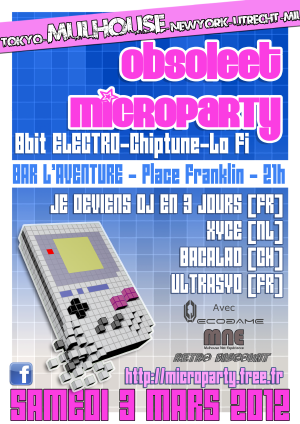 Chiptunes, that is! Complimenting the nighttime performances are an dazzling array of daytime workshops, lectures, and demonstrations that illustrate the openness and encouragement that are hallmarks of the chip community. More often than not, a fan can attend Blip, discover their new favorite artists, and obtain the tools needed to start working on their own music when they return home, something many of this years performers know all too well! Our thoughts & prayers go out to those people in Japan who have been affected by the huge earthquake and giant Tsunami floods. After watching the events of Friday unfold in front of my eyes on the BBC live coverage, the swift speed of the floods and the damage that they caused is just mind-blowing. I am hoping the country can get back on it's feet very soon. Many charities and organizations around the world are setting up donation pages. Don't be scammed! Unfortunately, the world is full of people who are willing to take advantage of people wishing to help others in such a time of crisis. If making a donation, be sure you know about the charity first (we recommend the Red Cross or World Vision charities). Japan has a lot of work to do yet; They are still facing more widespread problems with their nuclear reactors becoming unstable, many people are yet to be found and there are millions of homes that need to be rebuilt. The world should unite at times like this to help those desperately in need. Every Friday night we plan to launch a session or 2 on CVGM. This Friday will be a monster Amiga session. 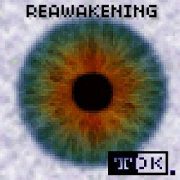 More information located at http://www.cvgm.net/forum/thread/114/ Feel free to post your own suggestions for your favourite Amiga songs to add to the playlist! The new E.P. by Xerxes has been released - 226 BC. This 3-track EP (with a 4th bonus track) is a very relaxing listen. Definitely worth a listen. Purchase from the author's BandCamp site for just $3 or listen from the page. "Finally I get to present some new music. They are quite different in style, yet they connect on some level. I have tried to explore different moods within the chillout genre without leaving out the usual Xerxes sound. These tracks are exclusive for this EP, and none of them will be duplicated on the forthcoming full length album. Hope you find them enjoyable. Massive thanks to Mogens Skjold for the stunning artwork."